This week’s PlayStation Classics is going to be a bit different. Usually, we only go over PlayStation and PlayStation 2 games you can immediately get from the PlayStation Store and play on your PlayStation 3, PlayStation 4, PlayStation Portable, and/or PlayStation Vita. Well, this one you can’t play that way. 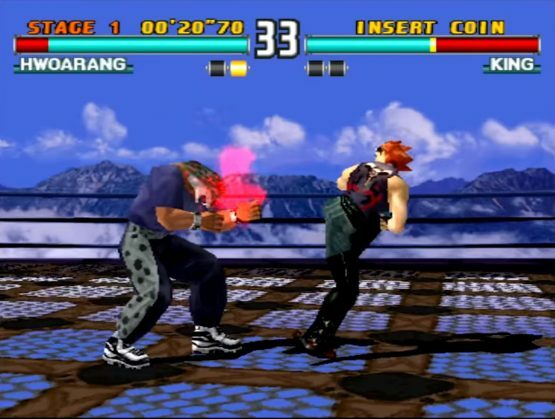 We are going to talk about Tekken 3, which is one of the games that will be on the plug-and-play PlayStation Classic. I hope you enjoy fighters that are classics, but only currently available in very select arcades and on the original PlayStation! Okay. So. Tekken is a series that can get a bit confusing, in terms of its story, due to various time skips and such. Tekken 3 takes place after one such timeskip. 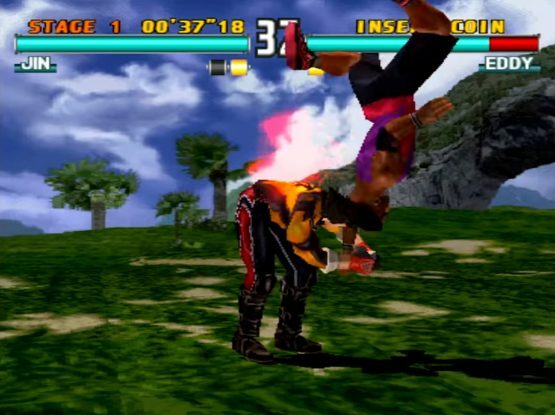 Its introduction is set about sixteen years after Tekken 2, so a lot of people just got too old (or too dead) for this. Except for Heihachi, of course, because nothing is going to keep him down. Tekken 3 starts out in a world where everything is good. Mishima Zaibatsu has Tekken Force, a protective order Heihachi formed, that is supposed to be doing good. The world is allegedly at peace, but then Tekken Force dug up an ancient temple and released Ogre. This is a strong, powerful, bad dude that Heihachi wants to use for his own means. It goes around killing various powerful fighters, with Jun Kazama gone in the aftermath. (We never really find out if she is dead or just gone, but it seems she is dead.) Her son with Kazuya Mishima, Jin Kazama, is left behind and goes to Heihachi to train and become powerful enough enough to face Ogre. Of course, before he heads to his grandfather, he is branded and possessed by the Devil. This means sixteen years after Tekken 2 and four years after Heihachi ended up setting Ogre free, the third King of Iron Fist Tournament is held. Why? Well, he wants that power. Things do not go so well for a number of competitors. Tekken 3 was kind of big deal for two major reasons. Sure, it changed the formula slightly by altering jump heights and allowing new sidestep options into the foreground or background. But the major changes were to the roster and to add a Tekken Force minigame. Nina Williams, Anna Williams, Lei Wulong, Paul Phoenix, Yoshimitsu, and Heihachi all come back from the previous installments. The new characters are Jin Kazama, Ling Xiaoyu, Eddy Gordo, Hwoarang, King II, Kuma II, Panda, Forest Law, Bryan Fury, Julia Chang, Gun Jack, Mokujin, Tiger Jackson, Ogre, and True Ogre. Though, Doctor Bosconovitch and Gon appear as bonuses characters too. Buy It Used for Under $5 or in a Plug-and-Play You’ll Use for a Week for $100! Tekken 3 is probably the best Tekken entry on the original PlayStation. (Though, some fans may favor one of the two earlier entries, for more nostalgic reasons.) It brought in a new boss character, introduced lots of new playable characters, and brought in the Tekken Force minigame. Sure, now it might seem updated, if you compare it to something like Tekken 7, but it is fun to return to and see how things used to be. If you want to play it now, you will either need to pay $99.99 for the PlayStation Classic plug-and-play system on December 3, 2018 or buy a physical copy. GameStop currently has it for $2.99.